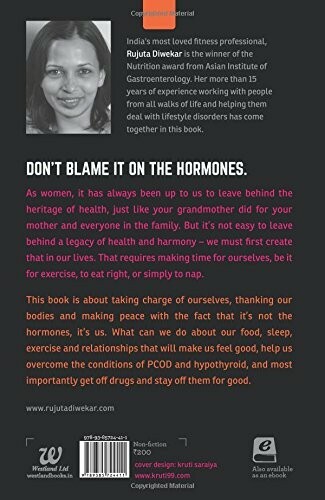 Book is a piece by Rujuta Diwekar, India's most loved fitness pofessional. It teaches you not to put the blame on the harmones but, taking responsibility on self for the imbalances in body. It talks about how to control the most common 2 diseases prevaling among women thses days i.e. 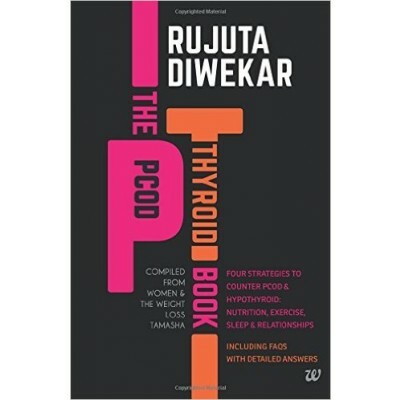 PCOD and Hypothyroid..
Book is a piece by Rujuta Diwekar, India's most loved fitness pofessional. It teaches you not to put the blame on the harmones but, taking responsibility on self for the imbalances in body. It talks about how to control the most common 2 diseases prevaling among women thses days i.e. PCOD and Hypothyroid. 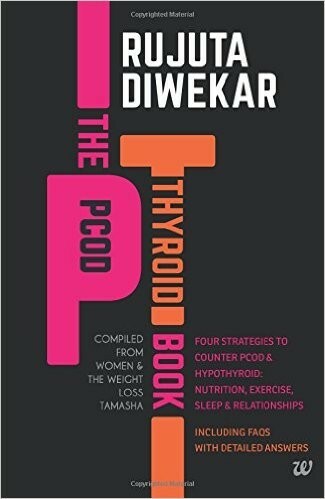 This book is about taking charge of yourself, thanking you bodies and making peacewith the fact that t's not the harmones, but you.Guide to overcome the conditions of PCOD and Hypothroid.